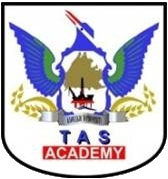 TAS Institute of Oil & Gas was established in 2008 as the first oil & gas academy in Sabah providing oil & gas operation technician training programmes. Wholly owned and managed by UMSLINK-SilverKris Sdn Bhd (a joint venture between UMS Link Holdings Sdn Bhd and Silver Kris Sdn Bhd). TAS Institute is supported by Universiti Malaysia Sabah, through its School of Engineering and Information Technology, and is recognised as an official BTEC (Business and Technician Education Council, UK) International Centre of Learning (Centre no. 92041). The institute aspires to be significant oil and gas training provider through prestige, quality training and development programmes, and excellent scholars that match the industry requirements in the region. EPOMS is committed to employ, maintain, and develop the best people through challenging careers and growth opportunities. EPOMS in collaboration with TAS Institute of Oil & Gas invites suitable candidates with relevant qualifications and experiences to take on the challenges in a conductive and vibrant work environment. Successful candidates will be sponsored and trained as a competent Production Technician, Mechanical Technician, Electrical Technician or Instrument Technician. Training period will be conducted as TAS Institute of Oil & Gas for a minimum period of six (6) months. · Diploma or Certificate Holder with at least 3 years of working experience in (Electrical/ Instrument/ Mechanical/ Process) or equivalent. · Full employment will be offered to the successful candidates upon completion of the program.